The Hong Lok was built with help from developers of luxury projects, but demand remains high for affordable housing across the city. In Chinatown, there’s a new apartment building for senior citizens on Essex Street with 75 units. The 95-unit affordable housing building over on Hudson Street celebrated its ribbon-cutting last month, while another 67 units are under construction on Oxford Street. None of these would have been possible without subsidies — required by the city — from the developers of nearby luxury apartment towers. 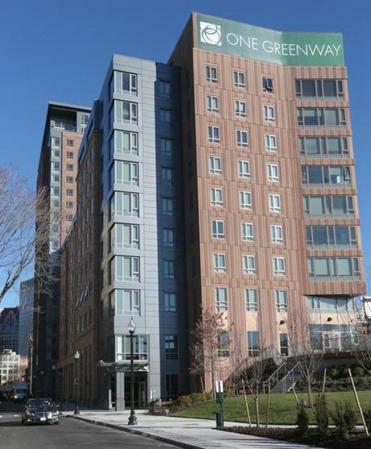 Even so, the three new buildings are not nearly enough to keep up with the demand for affordable apartments in a neighborhood at the center of Boston’s building boom. As the administration of Mayor Martin J. Walsh prepares — perhaps as soon as this week — to revamp the rules that require private developers to help pay for affordable housing, the experience of Chinatown highlights both the potential and the limitations of what’s known as Boston’s inclusionary development policy. The 15-year-old program requires builders of market-rate housing to help create apartments for lower-income renters, too, either by setting aside some of the units within their projects or by paying into a city fund that finances construction elsewhere in Boston. The Walsh administration declined to disclose details of the policy changes, but people who have been briefed on the plan said the mayor will propose increasing the amount that developers must contribute. One of Walsh’s major policy goals is to build 53,000 units of housing, much of it affordable to middle- and lower-income residents, by 2030. Even under current requirements the boom times are producing a lot of housing: More than 1,200 low- and moderate-income apartments have been permitted in Boston in the last year, according to a recent city report. Many are in Chinatown, where several new buildings have benefited from the cash required of their posh new neighbors. At 66 Hudson, $7.4 million came from nearby projects, including the W Boston Hotel & Residences on Stuart Street. 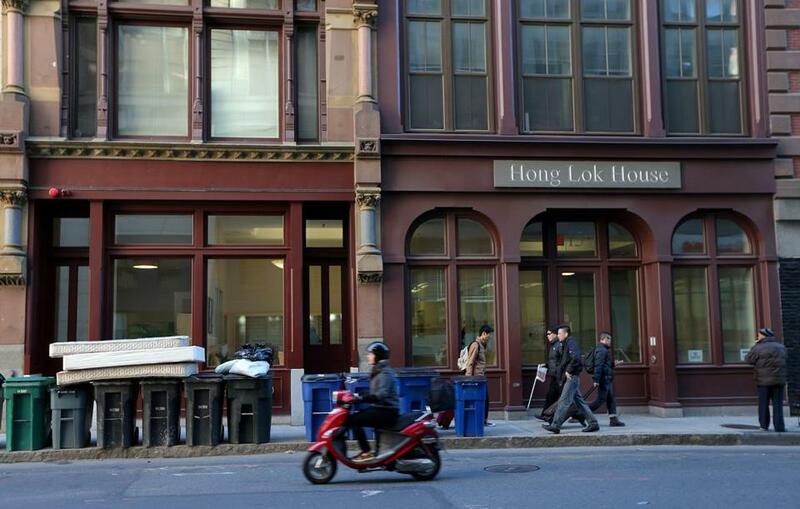 Hong Lok House, the senior citizen building on Essex Street, got nearly 20 percent of its $37 million budget from developers of The Kensington, a high-end apartment tower around the corner. The under-construction Oxford Ping On development got more than $7 million from neighbors, too. 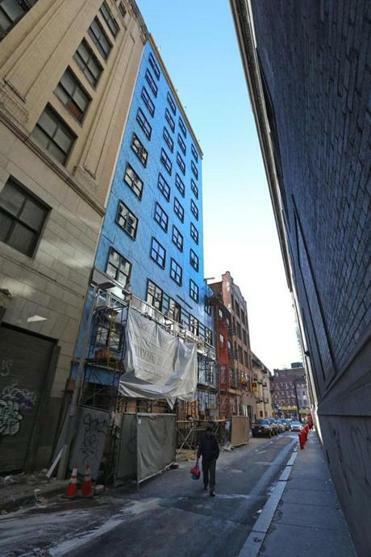 66 Hudson St. is part of a new two-building complex off Kneeland Street in Chinatown. Angie Liou, acting executive director of the Asian Community Development Corporation, said the city policy provided a critical portion of the funding for 66 Hudson. Even so, the nonprofit had to scramble for other sources to pay for the $35 million project. “We had to tap every single public subsidy we could think of,” Liou said. Moreover, the new luxury properties are spurring gentrification throughout Chinatown, housing advocates say, as investors buy older apartment buildings, spruce them up, and charge higher rents, often pushing tenants out in the process. After months of talks with developers and housing advocates, city officials are preparing to roll out changes. One that Walsh will push, said people briefed on the proposal, is that developers in higher-rent markets would have to make larger contributions for affordable housing. That’s a smart approach, said George McCarthy, president of the Cambridge-based Lincoln Institute of Land Policy, which has studied such programs nationwide. But with such a huge need for affordable housing in Boston, even those additional contributions may not be enough. When the first phase of Hong Lok House opened up its lottery for apartments, they were overwhelmed. Work is still under way on a new building at 10 Oxford St. The city is trying everything it can to develop more apartments, especially at moderate and affordable rents, said Sheila Dillon, head of the Department of Neighborhood Development. Inclusionary development is a key piece, especially when it can fund modestly priced apartments in the same neighborhoods where high-end towers are rising. That would be welcome, Seagle said. Developing affordable housing — especially in an expensive market like Chinatown — typically requires a jigsaw puzzle of public and private financing, sometimes from a half-dozen or more sources. The more the city can help, he said, the better. The 75 new apartments at Hong Lok are great to have, he said, but they’re not nearly enough.